Religious leaders from around the world, including Muslims, Christians and Jews, as well as prominent scholars and decisions-makers have called for tolerance and for the protection of religious minorities’ rights in Muslim countries. In a historical Declaration issued at the end of their meeting convened in Marrakech (January 25-27) participants called upon Muslim scholars and intellectuals to develop a jurisprudence of the concept of “citizenship” inclusive of diverse groups. “Such jurisprudence shall be rooted in Islamic tradition and principles taking into account global changes”, said the religious leaders in their joint document. They urged Muslim educational institutions and authorities to conduct a courageous review of educational curricula and address any material that instigates hatred and extremism. The Marrakech Declaration also called on politicians and decision- makers to support all initiatives seeking to strengthen relations and understanding among the various religious groups in the Muslim World. The educated, artistic, and creative members of society, as well as organizations of civil society should also endeavor to establish a broad movement for the just treatment of religious minorities in Muslim countries and raise awareness to the need to respect their rights, said the joint document. It called upon representatives of the various religions, sects and denominations to confront all forms of religious bigotry, vilification, and denigration of what people deem as sacred, as well as all discourses that promote hatred and bigotry. Religious leaders were also unanimous to reject the use of religion as a pretext to violate the rights of religious minorities in Muslim countries. It is worth mentioning that President Barack Obama has praised the Marrakech conference. In his remarks at a ceremony held Wednesday in Washington to honor Righteous among Nations Award winners, President Obama said “We know that there were Muslims – from Albanians to Arabs – who protected Jews from Nazis. In Morocco, leaders from Muslim-majority countries around the world just held a summit on protecting religious minorities, including Jews and Christians. King Mohammed VI also addressed the Marrakech conference, stressing Morocco’s leading role in promoting interfaith dialogue and fostering religious tolerance. Morocco has always been an outstanding model of cultural coexistence and interaction between Islam and other religions, particularly Judaism and Christianity, said the Monarch. “As Commander of the Faithful and defender of the faith, I am committed to protecting the rights of Muslims and non-Muslims alike”, stressed the Sovereign, affirming that Moroccan Jews enjoy the same constitutional and political rights as their fellow Muslim citizens, and play a key role in the country’s economy. 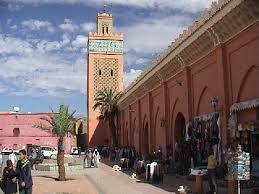 “We, in the Kingdom of Morocco, see no reason for denying religious minorities any of their rights. We do not tolerate a violation of this kind being perpetrated in the name of Islam, nor do we tolerate any Muslim being involved in such an infringement”, added King Mohammed VI. Written by: Jaber Ali on January 29, 2016. Posted by Jaber Ali on Jan 29 2016. Filed under Headlines, World News. You can follow any responses to this entry through the RSS 2.0. Both comments and pings are currently closed.